The Modeens | kon tiki 50th birthday bash! kon tiki 50th birthday bash! This is going to be such an amazing rum-flavored fiery splash of fun! Kon Tiki is a bona-fide polynesian restaurant that opened in the sixties in Tucson. 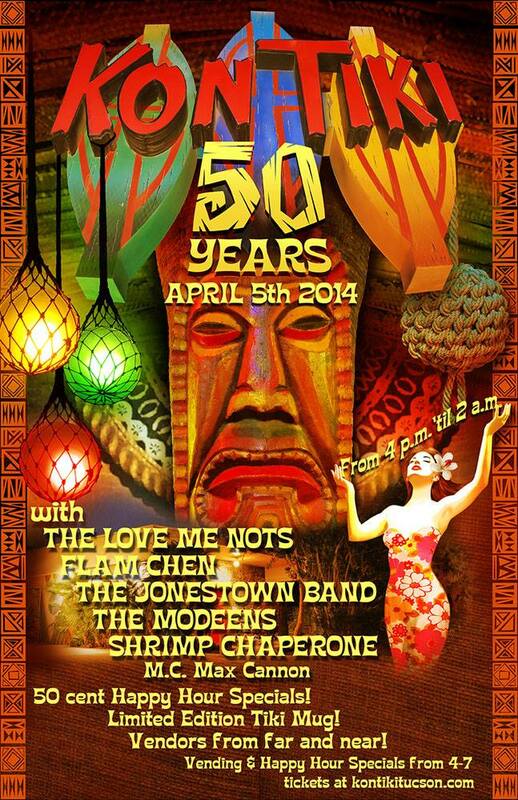 And to celebrate their 50th birthday, they’re having a huge party this Saturday, complete with hula dancing, fire, sixties priced rum drinks during happy hour and lots of cool bands! 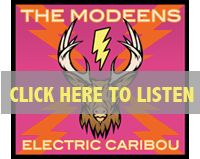 The Modeens go on at 9pm outside – with The Jonestown Band, Flam Chen and The Love Me Nots on our heels. Outside, Shrimp Chaperone will make you do the Mashed Potato while you sip your Scorpion. Lots of surprises in store, too, so don’t miss out! You can still get your tickets by going to: kontikitucson.com!